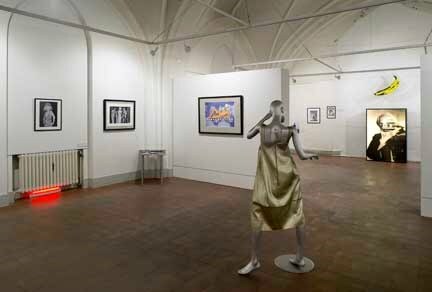 In the fall season of 2004, The exhibition called Max's Kansas City - Art Imitating Life, Imitating Art curated by Jacob Fuglsang Mikkelsen in collaboration with Yvonne Sewall Ruskin was shown at The Copenhagen Contemporary Art Center, housed in the 13th Century Churh called Nikolaj in the center of Copenhagen. It was one of the first exchanges between Copenhagen and New York, as part of what later became The Triangle Project. 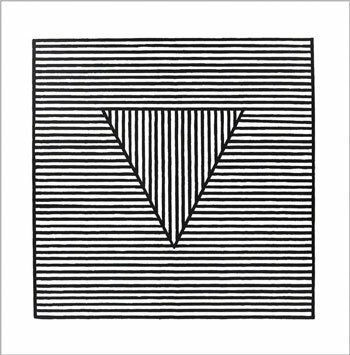 The concept and shape of the Triangle had a large part in the design of the catalog that was designed in collaboration with Emilie Hasløv. 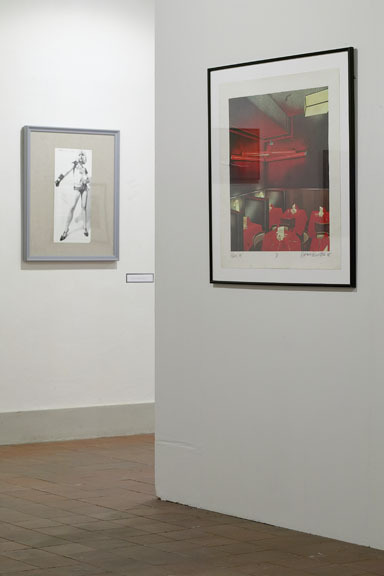 The very fact that Dan Flavin's sculpture in the Red Back Room creates one large Triangle and two within itself is of course also of great inspiration. The above collage was created by Danish Graphic Designer Sten Jauer for Copenhagen's free newspaper called Citadel. Most of the images are taken by Anton Perich. "High on Rebellion" Max's Kansas City Documentary Trailer from frantic studio on Vimeo. The Tiger Morse Golden Dress from behind, with a print of Candy Darling by Richard Bernstein to the left and Andy Warhol taking a polaroid of Anton Perich, who took the picture of him. And the Banana as the new cross. 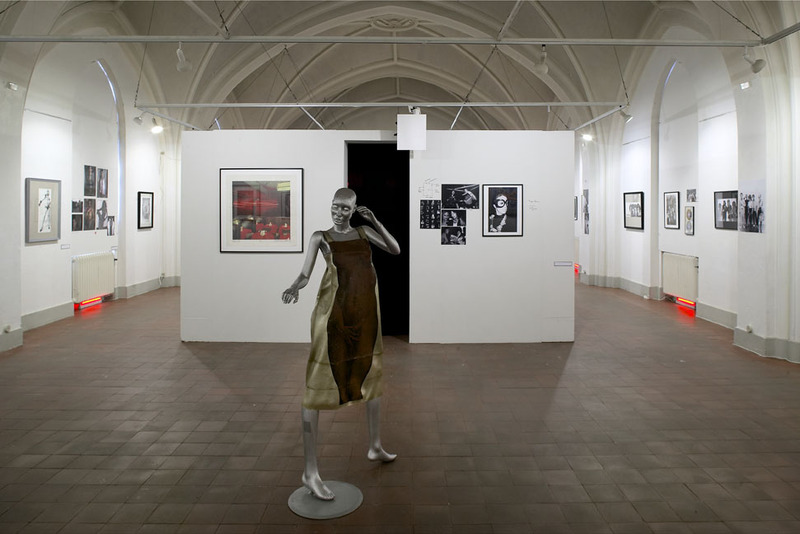 A Bald Silver Model wearing a golden dress by Tiger Morse with a silkscreen print on the front, in the background the Back Room insatallation behind the black curtain. An image of Tiger Morse with her back huge glasses on the right side of the entrance. 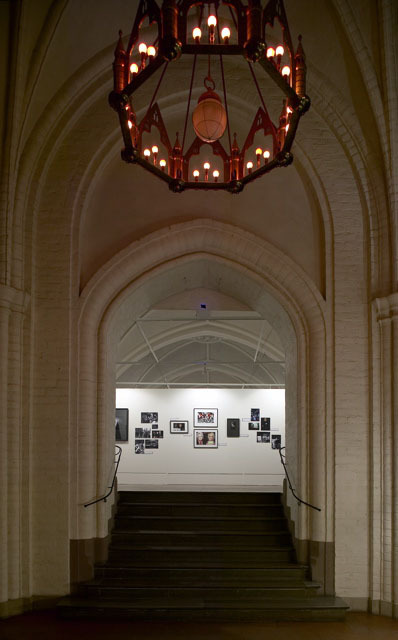 The stairs up to the main part of the exhibition, with red bulbs in the old church's light crown. 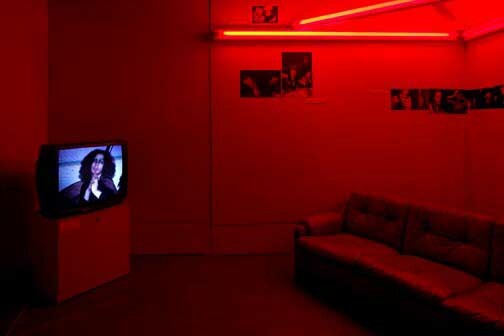 The re-creation of the Back Room with an original Dan Flavin Red Neon Triangle Sculpture with video's by Anton Perich and Ira Schnider. The sound from the video was connected to a speaker where a mirror was glued to the membrane on top of the room. Onto this this mirror, a laser was shot from high up in the tower of the church and down throughout the exhibition with several mirrors, finally hitting the mirror when the music that was playing in a loop ("All Tomorrows Parties" most of the time) made the membrane move, making the green beam of light bounce up into the vaulted ceiling, where in the center there was a fish fresco sculpture that danced with the vibrating laser. It was a little hello! to Billy Name who is also a fish. The laser installation was inspired by Frosty Myers laser installation that he made at Max's, that shot out of his studio window, down through Park Avenue South and finally hitting a mirror that was glued to the speaker membrane of the Juke Box inside. 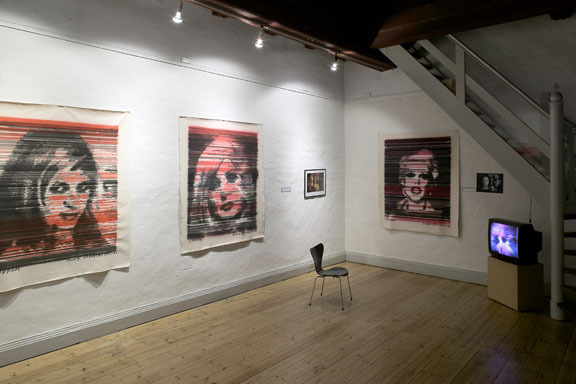 Anton Perich's paintings of Andrea "Whips" Feldman, Candy Darling and Cyrinda Foxe Tyler done with his painting machine. 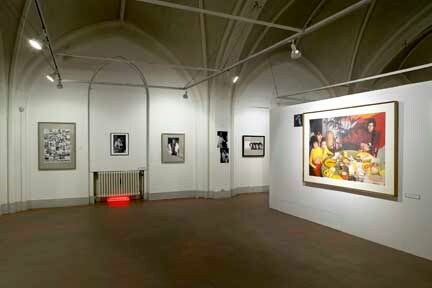 The video on the monitor is of the painting machine painting the very same paintings, shot by Anton Perich in his NYC studio. The "Girl Eating a Banana Dress" was made as a tribute to the "Max's Kansas City exibition" by Ann Charlotte Vengsgaard and as a part of a fashion-line-up and interactive catwalk performance. Anton Perich's print was on the front of the dress and he signed it "live" on the back of the model Sabine, as a part of a happening produced on the "Copenhagen Night of Culture". The same Night that Frosty Myers installed his Pyramid Light Sculpture over the Nikolaj Church and Maya Albana performed music from her album "God Bless Education". 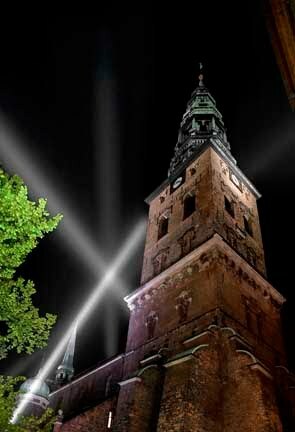 The Frosty Myers Search Light Pyramid Sculpture over the Copenhagen Contemporary Art Center, housed in the 13th Century Nikolaj Church. The Sculpture installation was specially designed for the Copenhagen City Night of Culture held each fall. The above invitation for the 40th Anniversary event in 2005 held at the Hit Factory Studios that also houses Gibson Guitar Show Rooms. The project was also a fundraiser for Max's Kansas City Project, with an auction with art work by artists connected to Max's. 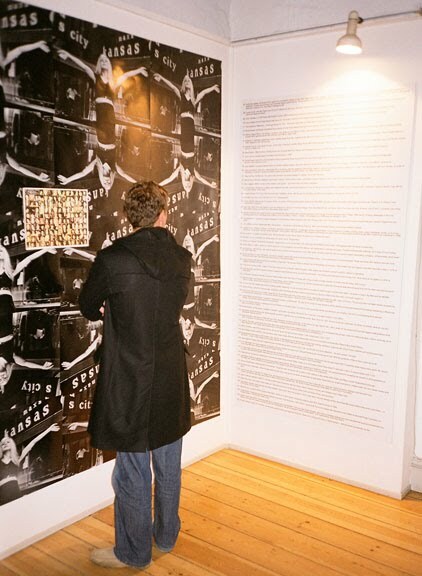 The invite was designed by the Turkish artist and DJ Cansu Aybar, who is part of the Istanbul Art Collective KOP ART. 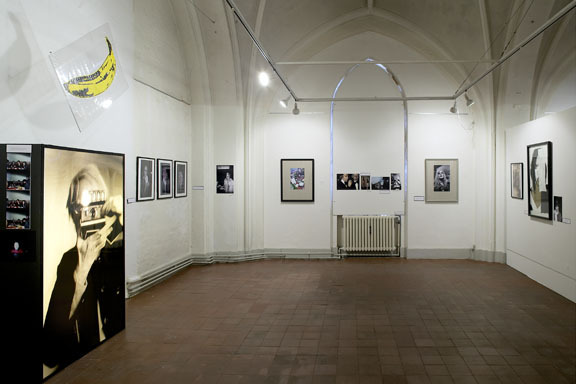 She was also later part of The Triangle Project as DJ Bang in both Istanbul and Copenhagen. 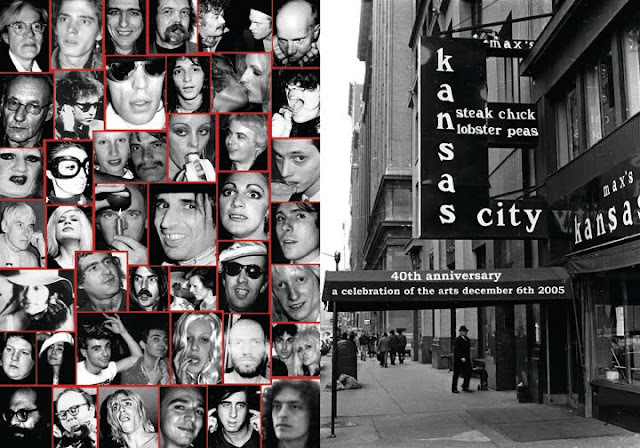 The image above of actress and model Misha Sedgwick (also Anton Perich's muse) from the Max's Kansas City Punk Event in 2006. 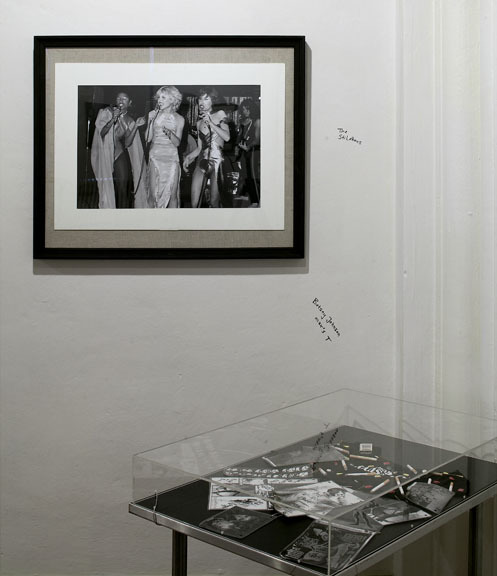 Photography by Kristian Holm and Enok in Studio 7 at the Gibson Baldwin Show Room in the Hit Factory Studios.